A couple of days ago, I bought my very first “Itty Bittys” toy. And here she is! If you’re a Star Wars fan like me, you’ll recognize her right away as Rey, the heroine from the latest Star Wars movie, Star Wars: The Force Awakens. Itty Bittys are stuffed animal (or plush toys) produced by Hallmark, the Greeting Card company and they are relatively new: the first ones came out last year (in 2014). I myself have been aware of them for about a year, having first come across them in Target (Australia) last Christmas, when I was hunting for Christmas presents. Despite this short history, however, there is already quite a variety of characters in the Itty Bittys range, which includes Super Heroes, Disney Princesses and classic Star Wars characters, amongst others. I was instantly captivated by the Itty Bittys, so much so that I seriously considered getting one as a gift. However, in the end I didn’t because there weren’t any Itty Bittys which, in my opinion, really stood out. After that, I kind of forgot about them because they don’t seem to have a high-profile here in Australia just yet. So what do you think of Itty Bittys? They are pretty cute, aren’t they? 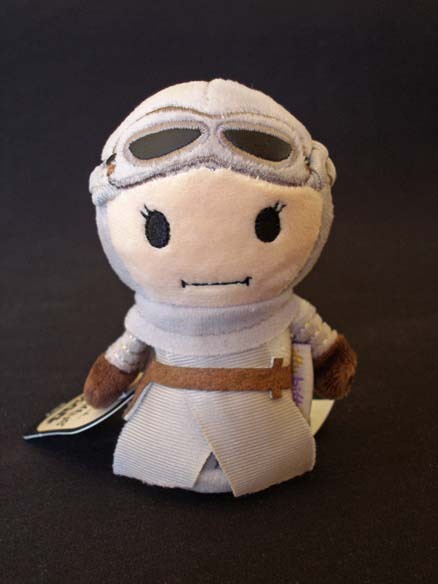 I think this version of Rey is cuter than even the Lego version of her, which I discussed in an earlier post. 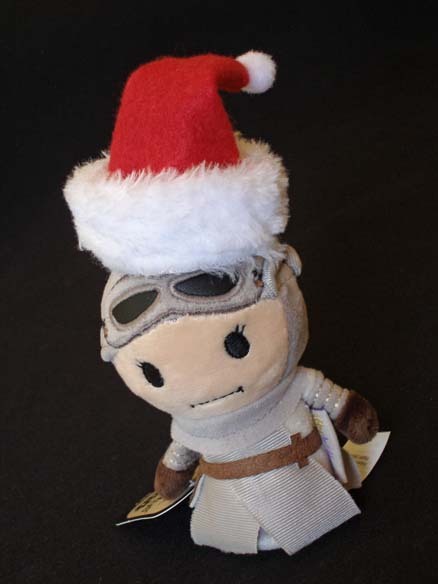 But just in case you still haven’t been won over, here’s another shot of Rey, looking more festive. This entry was posted in Films, Toys and tagged Christmas, Hallmark, Itty Bittys, Plush, Rey, Star Wars: The Force Awakens, Stuffed Animal by maruserino. Bookmark the permalink.